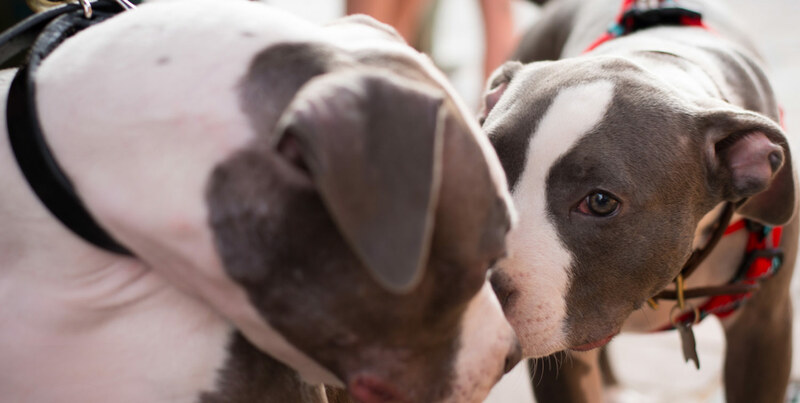 Love-A-Bull is incredibly excited to partner with Sit Means Sit Austin in order to bring to our dues paying members, the opportunity to participate in specialty classes at a discounted rate. These classes are introductory courses designed to give you a small sneak peak in to all the fun you can have with your pup. Tricks Class: The primary purpose of this class is to give you a strong foundation for teaching tricks from basic to advance so that you can continue to move forward when you are at home. Introduction to Agility: The primary purpose of this class is to give you basic knowledge on what agility is, what equipment is used and how to introduce your dog to the equipment. The second half of each class will be spent working with you and your dog and moving through the motions of the equipment used. Introduction to Nosework: This class is a great way to challenge, have fun with your dog, while taking advantage of its natural tendency to want to find things with his nose. The second part of each class will be spent walking you and your dog through basic steps of beginning stages of Nosework. Introduction to Drive Building: This class is for anyone interested in building a stronger relationship with their dog through play. Initial drive building is built upon the dogs inherent tendencies to chase. The second half of each class will discuss each dog’s current drive and how to build upon it.